EMC Seafood seems like a fish out of water in K-Town, pun intended. With a clean cut interior and a fresh menu of seafood offerings, there is no smidgen of K-Town funk. Don’t get me wrong — as a Korean with a love/hate relationship with Koreatown, restaurants in this part of town seem to replicate each other. You have your typical Korean bar/restaurants, numerous BBQ spots, and everything in between. EMC seafood is refreshing and a beam of light for future things to come. We started things off with a dozen oysters. At a dollar a pop during happy hour, I don’t know why I didn’t get more. The oysters were plump, juicy, and fresh. 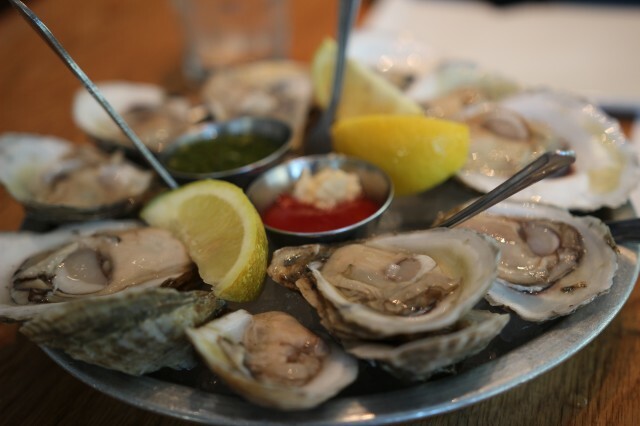 Topping them with the various sauces, or having them raw, oysters are always enjoyable. No, seriously though. Why didn’t I order more? 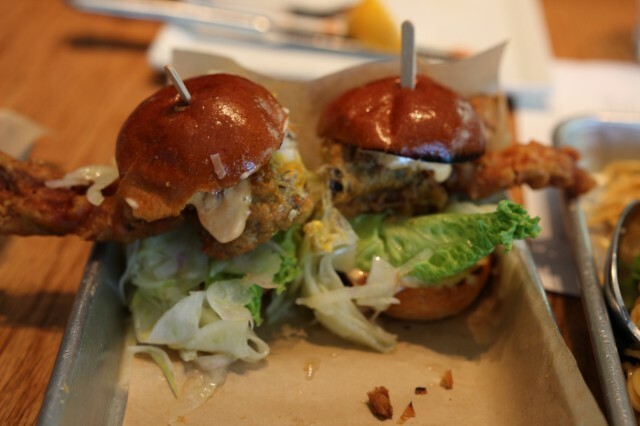 The soft shell crab sliders were pretty ok, not the best. I felt the bread somehow overpowered everything. I know from the looks of it, the crab is hanging out from the sides of the bread. For some reason, the soft shell crab lacked flavor. Maybe salting it more or spicing up the batter would have helped a bit. It really didn’t stand out and was the most underwhelming dish of the night. The lobster roll was quite delicious. The lobster was plenty but didn’t seem cooked recently. Lobster is usually a bit firm, succulent, and has a nice bite to it. The lobster here was a bit flaccid and somewhat flavorless. Maybe it was the lack of mayo. It just needed something extra. Even the crispness of a lime or lemon would have done wonders. 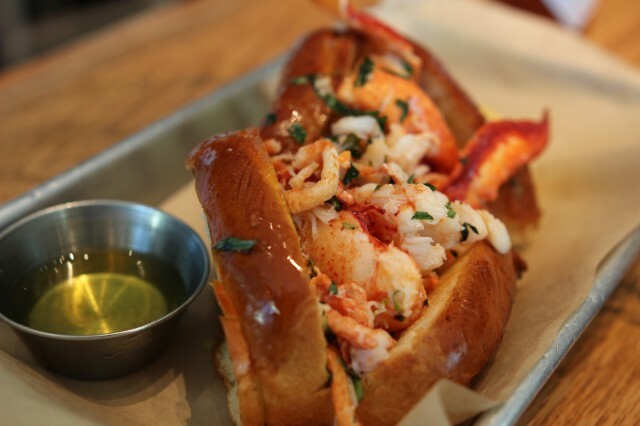 I would probably stay away from the lobster roll next time. The uni pasdta is a favorite of mine. Though the pasta sauce was a bit watery and the uni flavor was not prominent. 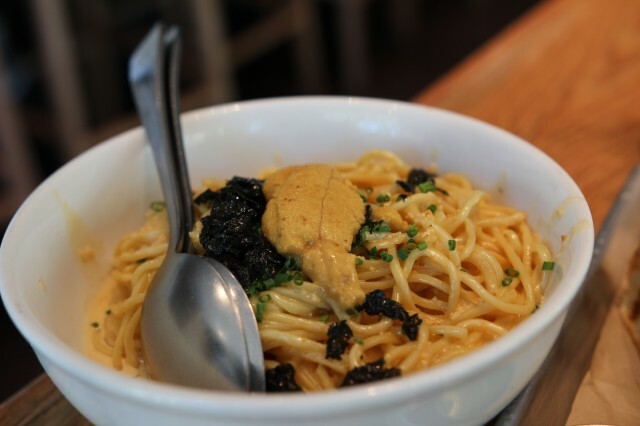 Still though, uni pasta is uni pasta, and uni is delicious. The spaghetti was cooked nicely al dente, and nice big sliver of uni was great. I think honing down the sauce and making it more robust would do wonders for this dish. For Koreatown though, EMC is a great spot for seafood. 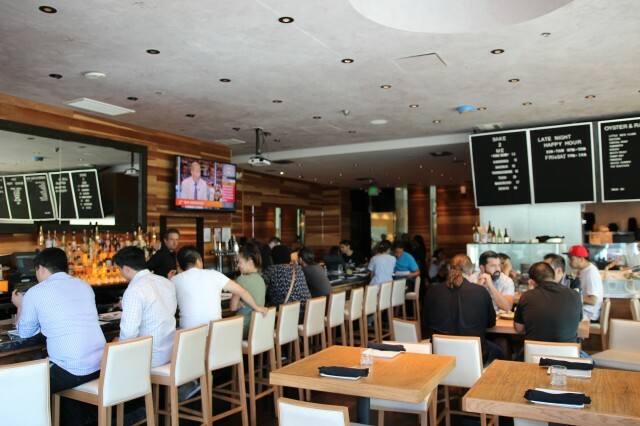 The flavors and ingredients are fresh and it is one of the premiere spots in Koreatown that isn’t your typical “K-Town” flair.